The Malaysian owned Sunway Hotel and Resorts Group owns and operates eleven properties spread out across Malaysia, Cambodia and Vietnam. Sunway Hotels & Resorts' flagship property is located in Kuala Lumpur’s Sunway Resort City, an award-winning 800-acre integrated "Resort-within-a-City", and is definitely among one of the must see attractions when visiting the Garden City of Lights. 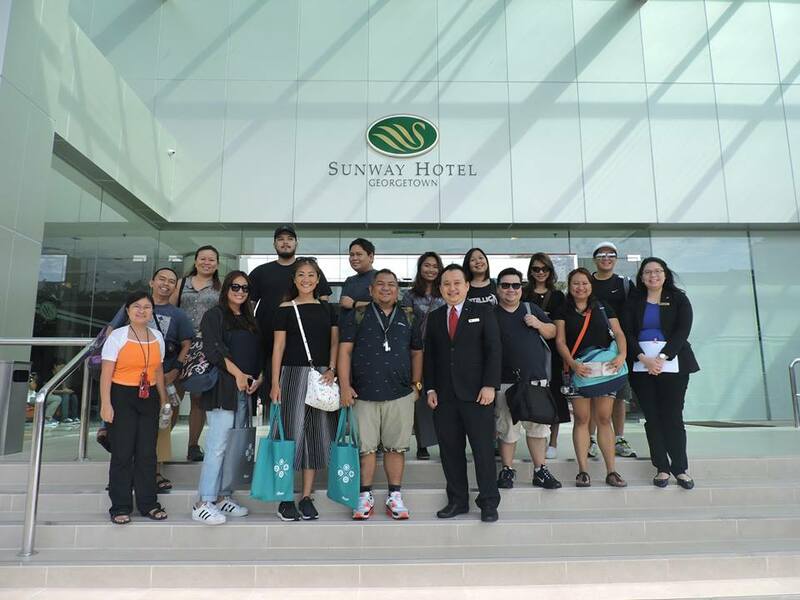 Fortunately, there is a Sunway Hotel located in Georgetown, Penang, so we were able to experience the gracious hospitality that the Sunway name has been known for. First off, the place is gorgeous. The interiors are dazzling and spacious, living up to the Sunway illustrious name. The hotel also houses several conference rooms and function halls, that makes Sunway Georgetown the ideal place to hold events, such as Weddings. For a traveling foodie such as myself, Sunway Georgetown's location is absolutely perfect. The hotel is located literally a few steps away from popular Hawker Centers, (including the one visited by none other than Anthony Bourdain!) and just a block away from Penang's Time Square Mall. Located on the ground floor is the Sun Cafe, Sunway Georgetown's in house restaurant. Here you may find classic Malaysian dishes, as well as some continental favorites. 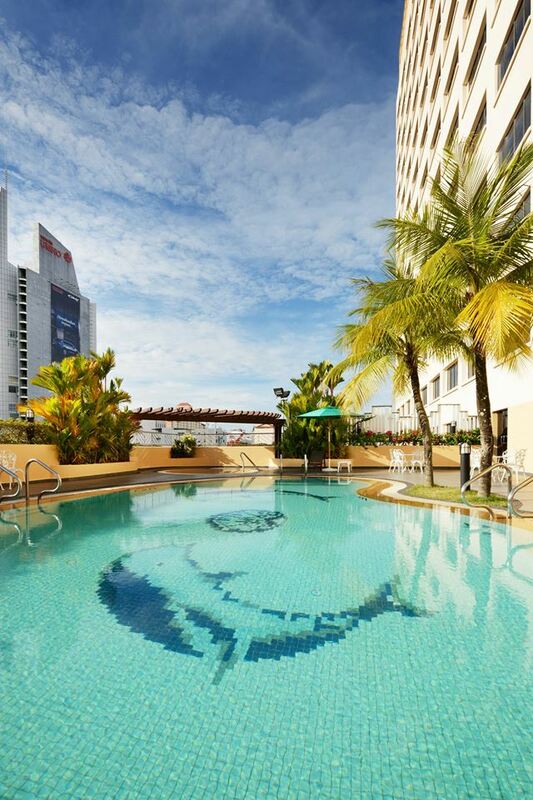 Kids will be happy to see the stunning swimming pool at Sunway Georgetown! When visiting Sunway Georgetown, I highly recommend that you book one of the Club Rooms. It's a great value for money deal. The 30 Square Meter room is furnished with your choice of a King Sized Bed or Two Single Beds. and is quite spacious! The room is also equipped with a Flat Screen TV, Mini Bar, and a desk for getting work done, as well as complimentary WIFI. The Bathroom also offers a selection of bath ameneties for you to use during your stay. What makes the Club Room a great value for money room, is your unlimited access of the Sunway Georgetown's Club Lounge. The Lounge offers a cozy area where you can dine at, or get some work done. Meals are served during Breakfast, Lunch and Dinner, with snacks and refreshments available all day. Since our itinerary was full, we were only really able to try the Club Lounge Breakfast, which was a welcome reprieve from the jam packed crowds at Sun Cafe. The breakfast spread offered plenty of the morning favorites, such as Chicken Sausages, Hash Browns and an Egg Station, as well as touches of Malaysian Cuisine, such as Nasi Lemak Rice and Sambal sauce. Their selection of Danish Pastries was also quite delicious! One of the events of our itinerary, was Chef Luigi Mulach of Amacena fame's Cooking demonstration. Chef Luigi prepared one of his signature dishes, the Aligue Express. The dish was a fusion of Filipino and Malaysian flavors, as he used Crab Fat from The Philippines to pair with his ingredients that was indigenous to Malaysia. The Rock Star Chef wowed the crowd, which was comprised of bloggers and members of the Sunway Staff, with his mastery of flavors. Within minutes, he had us all oohing and Aahing with the aroma that filled the room. Soon after, we were all given a taste of Chef Luigi's Aligue Express. I was a witness to how the Malaysian group was incredibly impressed with Chef's creation! Ang gwapo namin mga Mulach, diba? My trip to Penang was an incredible experience, and one that I will never forget. From the warmth of the people, the eclectic food choices and spectacular sights waiting to be discovered, Penang is one city that should be on your bucket list of places to visit. And should you find yourself making plans to visit Penang, stay at Sunway Georgetown should be a no-brainer!